Japanese department store Daimaru removes vendor specializing in wine from Golan Heights after protests from citizens' groups. A major Japanese department store has removed a vendor specializing in wine from the Golan Heights after protests from citizens' groups, The Associated Press reported Friday. The store, Daimaru, said it has withdrawn its offer for Naturael, a Tokyo-based importer specializing in wine from the Golan which is highly valued among connoisseurs, to participate at a fair which took place during the month of May. It said the decision was just for the event and does not reflect the company's political stance. But its spokesman acknowledged that geopolitical issues could not be ignored. 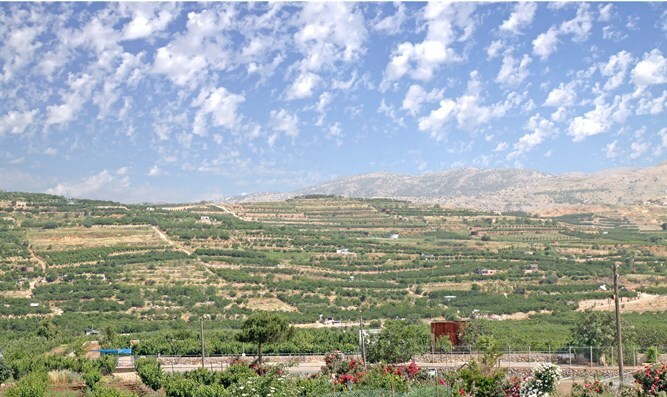 Naturael says the wine is produced and imported legally and criticized Daimaru for playing politics, saying it could lead to anti-Israel sentiments. While there have been issues in the past with European countries choosing to label Israeli products from so-called “occupied territory”, this is the first known instance of this happening in Japan. Last year, Amnesty International launched a new campaign calling on world countries, but specifically Britain, to ban the import of all goods produced in Israeli communities in Judea and Samaria.